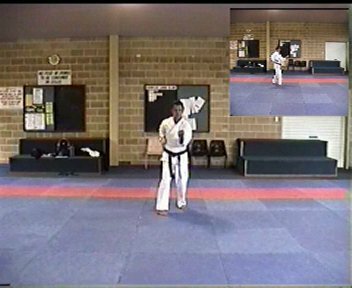 Saifa is often viewed as an easy kata because of the relative simplicity of the pattern and therefore not worth closer inspection. However a closer look at this kata reveals a somewhat surprising amount of depth of application. 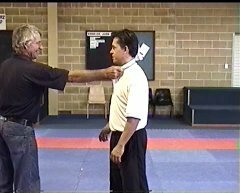 From it can be drawn a great range of applications including responses to both striking and grabbing attacks from the front and from behind. 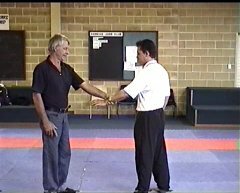 This video looks at the kata Saifa and shows a number of applications for each sequence. 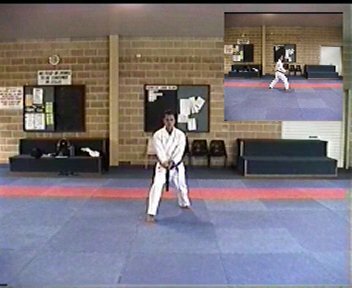 The first chapter on the DVD shows each of 3 variants of the kata. Following this is a chapter on each sequence demonstrating applications against various attacks, grabs and strikes. Voice-over describes the actions being taken in each application. 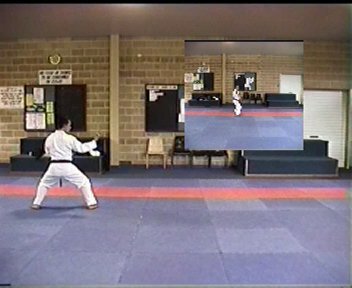 During performance each kata is shown with separate front and side views. The lead-in to each sequence in the applications portion of the video has picture-in-picture of the particular sequence being looked at before commencing the applications for that sequence. In the bunkai section of the video, the kata is broken up into sequences for demonstrating responses to different attacks. 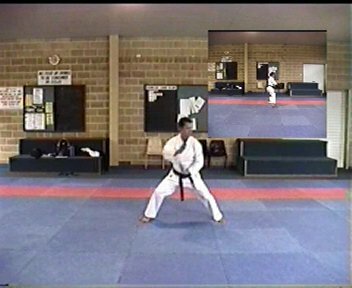 The kata sequence being addressed is shown before each set of applications.